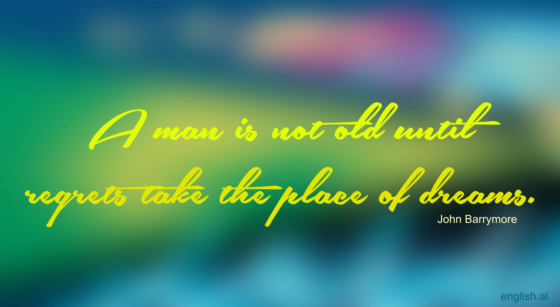 Home • • A man is not old until regrets take the place of dreams. When young, people think of life as it is full of beautiful things to experience and they get involved in its vortex while trying to make their dreams happen. Youth is made of dreams and regrets don’t belong there. When one starts having many regrets about the past, it means he’s getting old. So, despite the real age, if you start having regrets instead of dreams, you’re not young any longer. So, no regrets.